Clothes piled on the floor, mould on the ceiling, lime scale-ridden taps and sinks that overflow at the merest hint of water – yeah, you need a bathroom makeover. It’s the heart of the home, the bathroom. You’ll sit and contemplate life on the toilet, bellow show tunes in the shower and preen yourself to perfection in the mirror – are there any more important things in life? But if your bathroom is more Poundland than upmarket fab, we've got a few ideal solutions for you. Nobody wants to feel like their feet are blocks of ice when they wander into their bathroom. But carpeting is an ill-advised solution, increasing the likelihood of mould and rot on your floorboards. For the finest flooring, install marble in your bathroom and combine it with bath mats in key areas where you’ll be resting your feet. The most luxurious marble tiles will leave your floor with a luxurious sheen, even if it will leave a hefty dent in your wallet. Dividers are great for any room, giving you the illusion of extra space without the need for any fancy DIY. But in the bathroom, they have an even more practical purpose. Just imagine those times when you’re desperate to use the toilet but someone else is in the shower. With a judiciously placed divider, you could nip into the bogs without either of you feeling like your privacy has been invaded. You could even add a divider on a relatively low budget, with a simple freestanding version available in supermarkets or design stores. It’s only natural – or is it? You've probably heard the concept that we’re more influenced by either the creative or rational sides of our brain – but you probably never thought it would affect your bathroom design. Indeed, the more romantic amongst you will most likely favour a rich, mahogany or beech wood finish in their bathroom; the kind that casts the mind to the great outdoors. Invest in some strong oak worktops and you’ll feel like you’re in a bristling woodland log cabin – even if you’re just in a flat in Croydon. But then there are the more rational realists amongst you. You’ll most likely favour a clean pure-white sheen in your bathroom, with jet black worktops and a plain shower. The perfect example of function over romance. However, the best bathrooms will incorporate both to suit their own tastes and their guests. 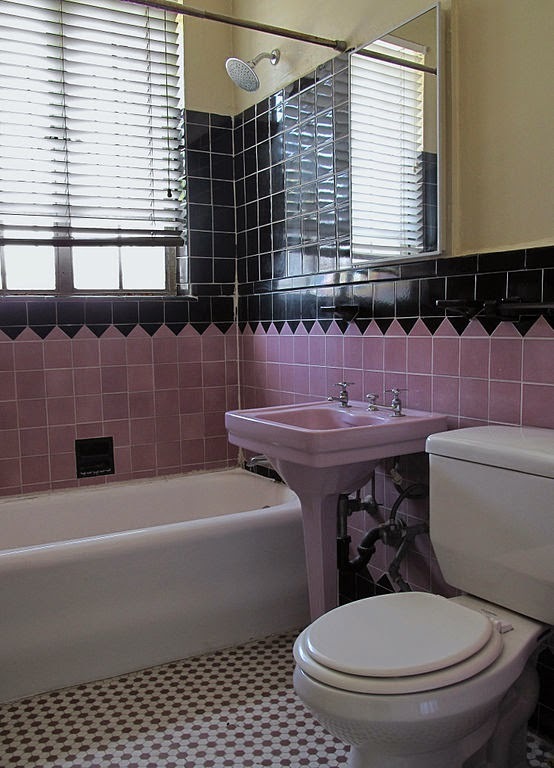 Figure out the ideal middle ground and you’ll be able to sit on the toilet in absolute luxury.